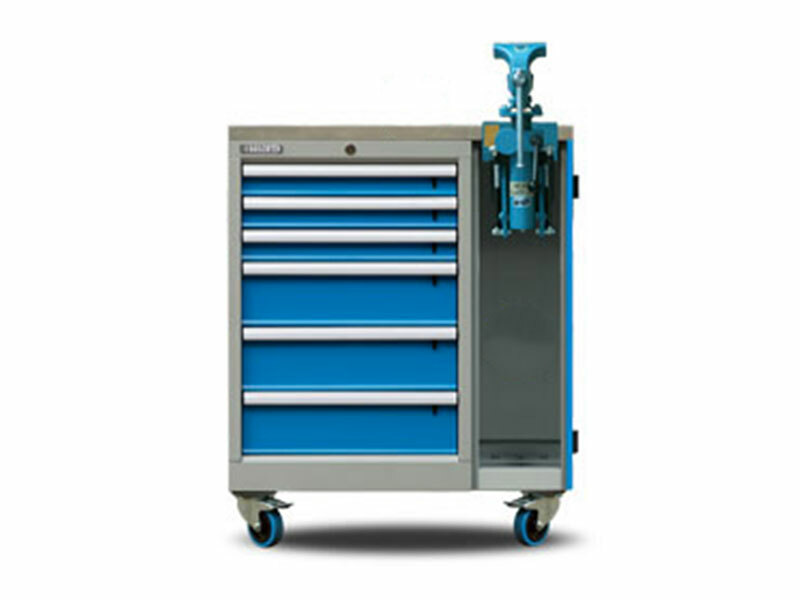 High Density drawer storage cabinets can offer enhanced accessibility, increased efficiency and an overall reduction in required floor space to operate a business. 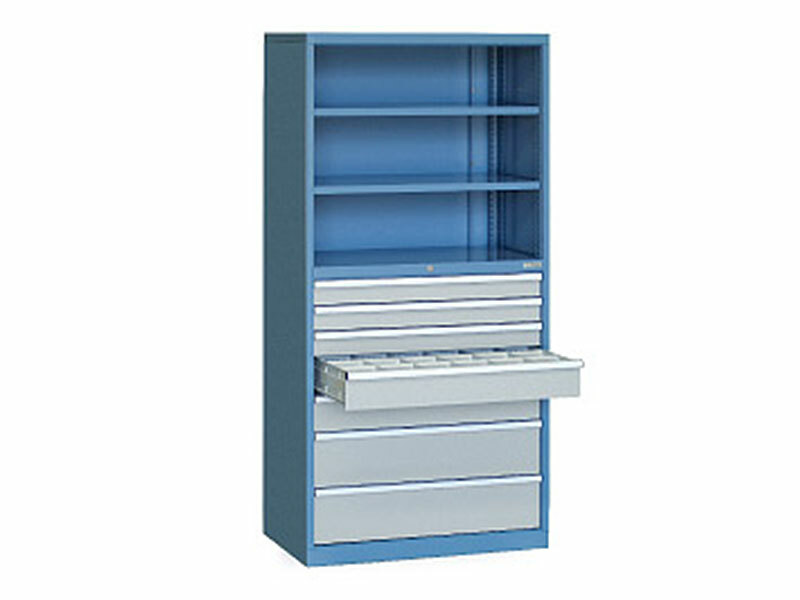 You can understand why High Density drawer storage can work for your business work place. The system has more flexibility due to the increased weight capacity, applications and most importantly, safety. Drawers can become particularly hazardous, when loaded incorrectly, which is why we have introduced our new 100% full extension runner; an exceptional compliment to an already impressive drawer storage system. The runner itself is an independent system that includes telescopic load support, increased guide bearings and a welded support frame. Click through to discover the benefits of the full extension drawer storage system. 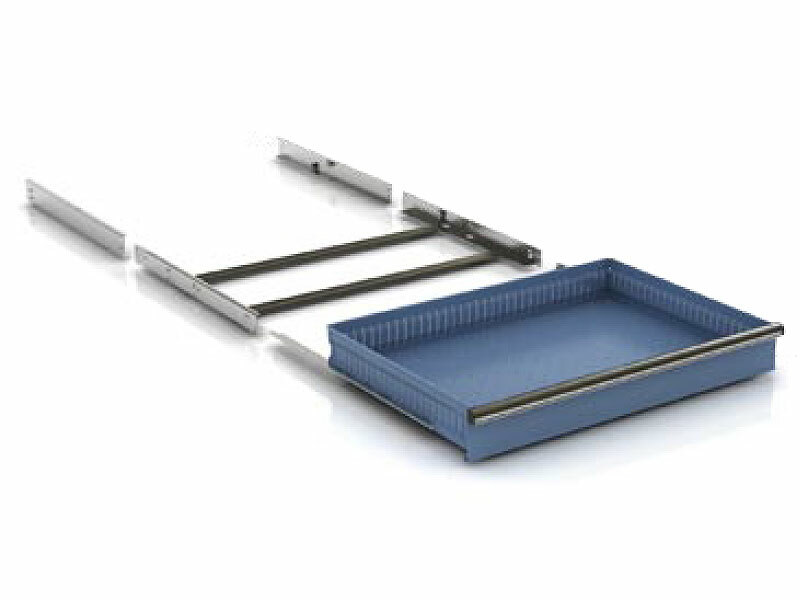 The full extension runner has an increased weight capacity of up to 200kg UDL. The drawer incorporates a flush aluminium extruded handle running the entire width of the drawer front. Please contact a sales representative for further information on the weight load capabilities for your requirement. This innovative addition to the Boscotek range introduces a greater level of safety, giving you the confidence that the full extension runners robust design coupled with our patented anti-tilt system will keep you and your employees safe while increasing efficiency and storage capacity for your business. Consider full extension for your storage needs.